On the Home page at the bottom right of the screen is the Password icon. In Easy PMS Mobile the user is not able to change their username. If this is required, the user is to contact the Easy PMS Mobile administrator to affect this change. The user can change his password at any time to something they would be more familiar with. A strong password is required with at least 8 characters with a combination of upper and lowercase letters and at least one non-alphanumeric character such as !, @ , #, $, % etc. 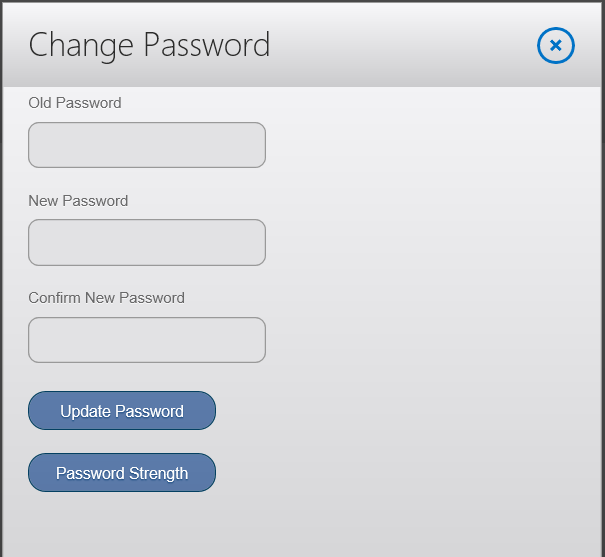 If a user forgets their password, the Easy PMS Mobile administrator can setup and assign a new password which the user can then change on first login. It is not possible to view nor recover the original password.